Smooth muscle is one of the three types of muscle tissue in the human body along with skeletal muscle system and cardiac muscle system. Smooth muscle forms the supporting tissue of blood vessels and hollow internal organs, such as the stomach, intestine, and bladder. It is regarded smooth as it is distinguished from the striated muscles of the skeleton and heart by its structure and its functional capabilities. Single Wire Myograph System - 320A is ideal for studying a single vessel with a diameter of 60 μm - 3 mm. The vessel is mounted as a ring preparation by threading it over two parallel stainless steel wires and securing the wires to two supports or "jaws". The Dual Wire Myograph System - 420A is designed for simultaneous testing of two vessels with diameters of 60 μm - 3 mm, independently. The vessels are mounted as ring preparations by threading them over two parallel stainless steel wires and securing the wires to two supports or "jaws". One support is attached to a precision micrometer, allowing manual control of vessel circumference and stretch. The other support is attached to a force transducer for measurements of force/tension development. Making it easier… the newly developed 4-channel system adds the ease of automating the normalization procedures so that calculations and preload tension is easily set. Following mounting and equilibration, passive length-tension relationships are determined by a standardized procedure. This allows the standardization of initial experimental conditions, an important consideration when examining pharmacological differences between vessels. 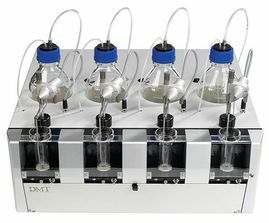 The Pressure Myograph System - 114P is an ideal system used to study the structure and function of isolated sections of small vessels (diameter >40 μm) under near-physiological conditions. 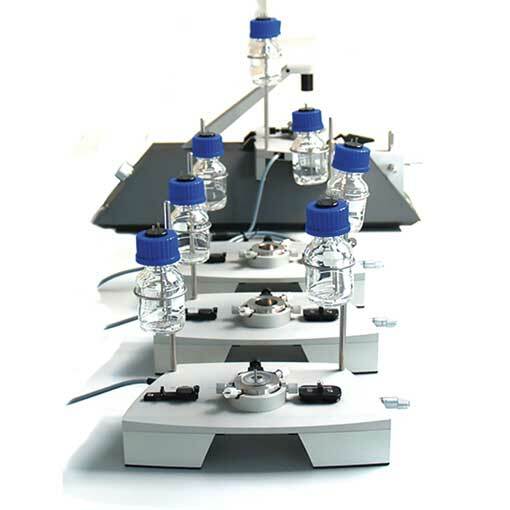 Vessel diameters can be measured in response to pharmacological and physiological stimuli. The Pressure Myograph System - 115FP is designed for biochemical or morphological studies where rapid freezing or fixing of the intact, pressurized vessel is required. 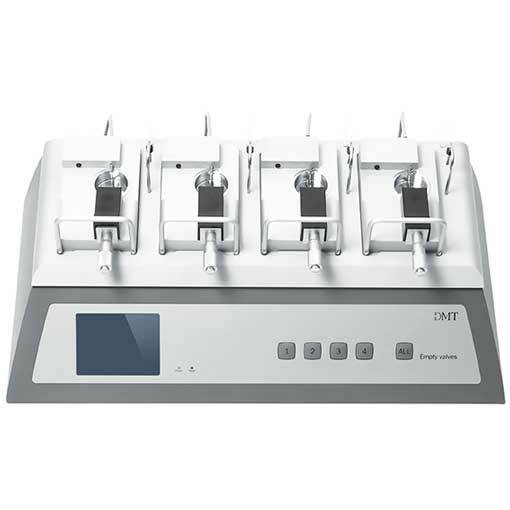 After rapid freezing or fixation, the vessel can be used in studies such as morphological analysis or immunohistochemistry. The Confocal Pressure Myograph System - 360CW is a system specifically for use with laser scanning confocal microscopes and used to study intracellular ion activity and isobaric constriction of isolated sections of small resistance arteries (diameter >50 µm). The Culture Myograph System - 202CM & 204CM is designed to provide long-term functional preservation of small blood vessels by maintaining them under controlled culture conditions of intravascular pressure and flow. By using a closed, sterile system and standard culture methodology, vessels can be studied for several days. Smooth muscle is a type of muscle tissue organized in a different way than other muscle cells but with the same function as all other muscle tissue which is to contract. As mentioned above smooth muscle is found in many areas of the body. It lines a lot of parts of the circulatory and digestive systems. In addition smooth muscle is also responsible for raising the hairs on the arm. Smooth muscle tissue is used by many systems to apply pressure to vessels and organs consisting of sheets or stands of smooth muscle cells.